This looks like a room in a palace. 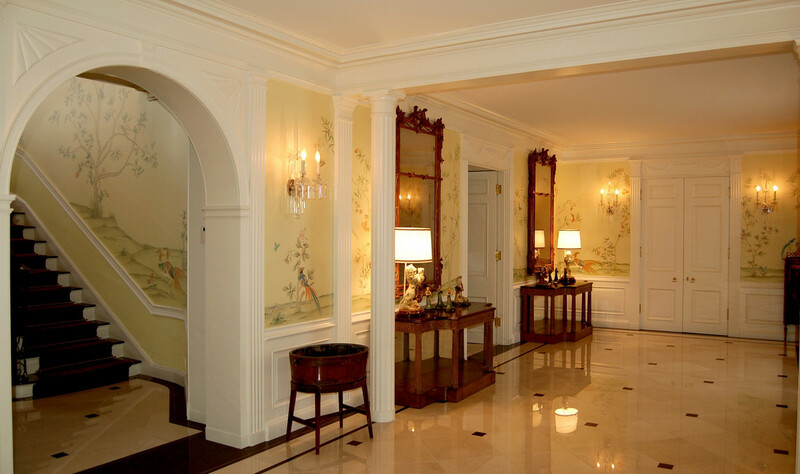 It is so beautifully decorated with foyer furniture pieces. The tiled floor is extremely clean and shiny and the same goes for the walls. There are candles on walls giving out light and emphasizing wall mirrors and wallpapers. The room features an entryway table anywhere there is door.